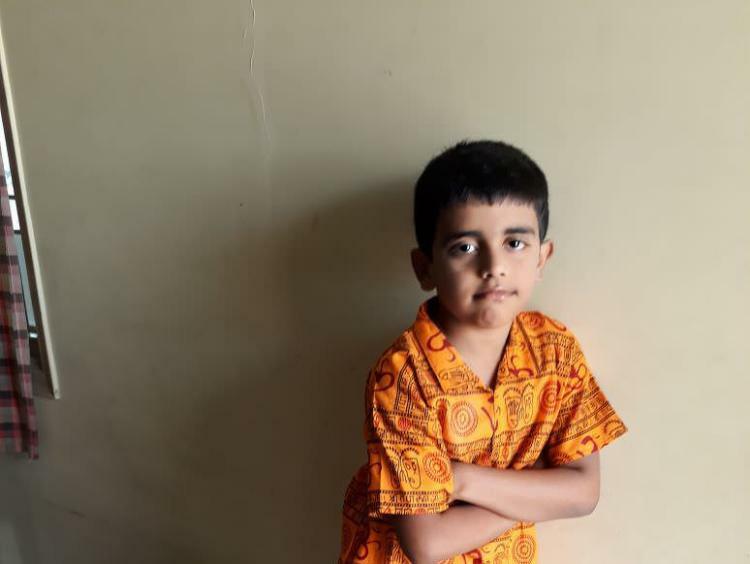 Maheswara, 8-year-old Nihit’s father can’t talk about his sick child without choking up, that’s how upset he is. 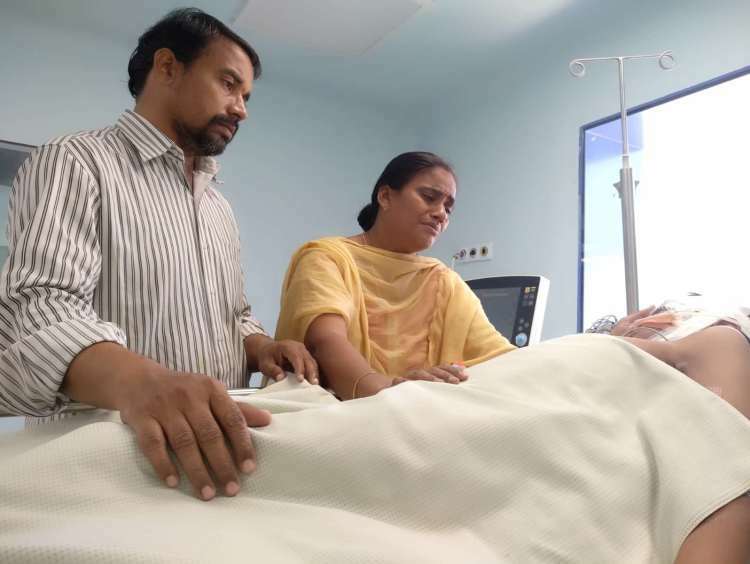 When your child is fine until one day and then gets admitted to the ICU, what can a parent do, but cry? It started with a fever. Nihit came back from school and looked really dull. His parents took him to the doctor who prescribed medication. They were told that he would be fine in 4-5 days. 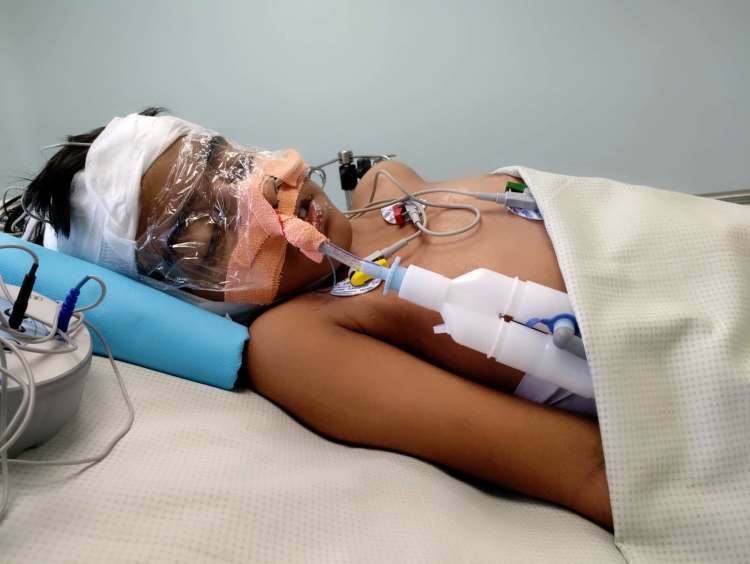 But despite the medicines, Nihit’s temperature didn’t come down and he continued to weaken. 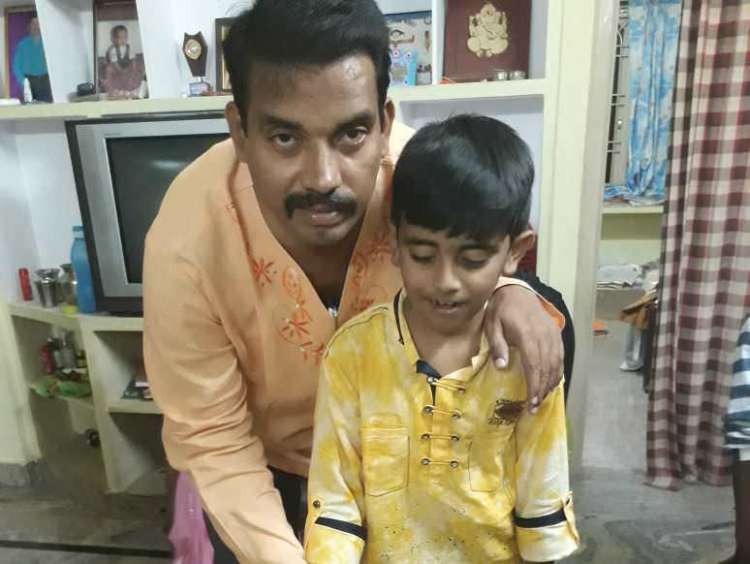 After barely two days of being on medicines, Nihit started convulsing violently at 6.30 AM. In an hour, his panicked parents rushed him to the emergency room, only to realize that the neurologist wasn’t in yet. While they were waiting in the lobby for the doctor, Nihit started convulsing again. 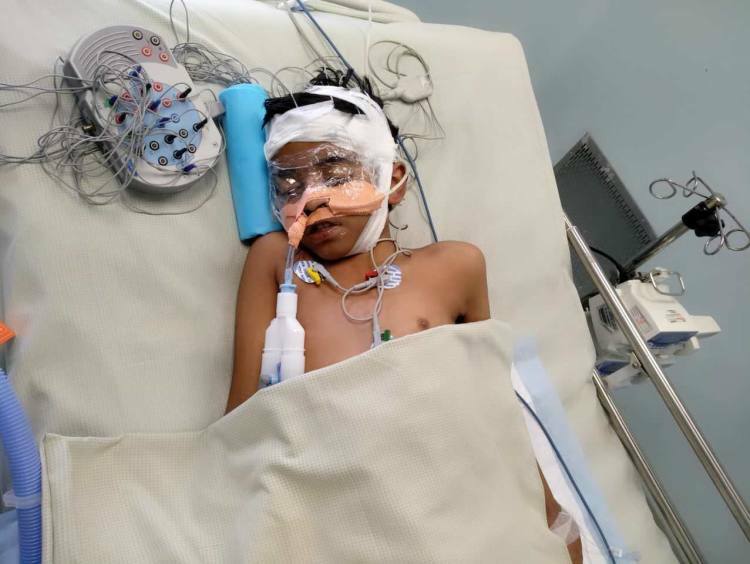 The doctors at the ER admitted him to the PICU without further delay and put him on stabilizing medication through intravenous drips. But despite all the care and attention, he started having frequent fits since that evening. He would violently convulse every 2-3 minutes, and the doctors couldn’t do anything to stop it. In the meantime, the neurologist arrived and prescribed various evaluations, including a CT scan for the brain, and EEG. 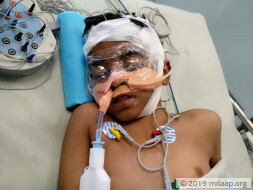 When the test reports came, he suspected Nihit to have Auto-Immune Encephalitis - a condition which could be causing the convulsions. 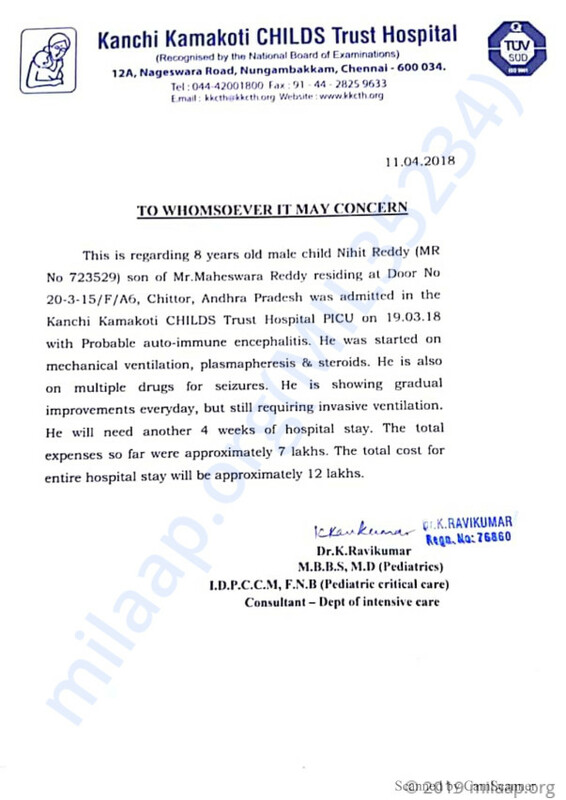 The doctors at the hospital in Tirupati told them that their hospital lacked the facilities to treat the condition and that he should take Nihit to Kanchi Kamakoti Childs Trust Hospital, Chennai right away. 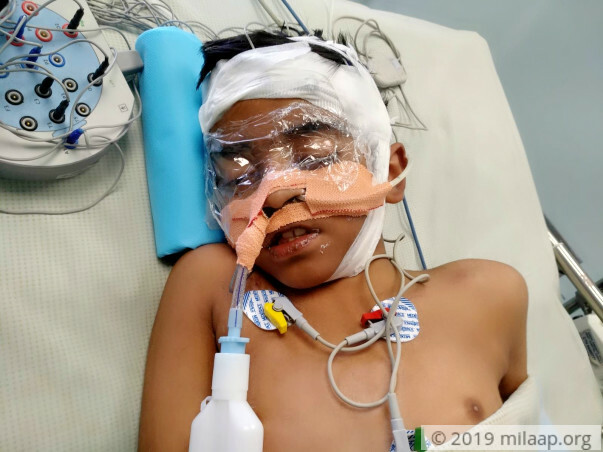 When Nihit arrived there, he was taken to the ICU immediately and he had to undergo a few more tests, including the MRI scan to see what was wrong. They confirmed the diagnosis made at Tirupati and started treatment right away. To prevent Nihit from hurting himself and losing strength due to the fits, he has been sedated. Even now, Nihit gets frequent episodes of fits. But thankfully since his treatment has started he is making progress, albeit slowly. Nihit’s parents and his older brother Dikshit are going through the toughest time of their lives. 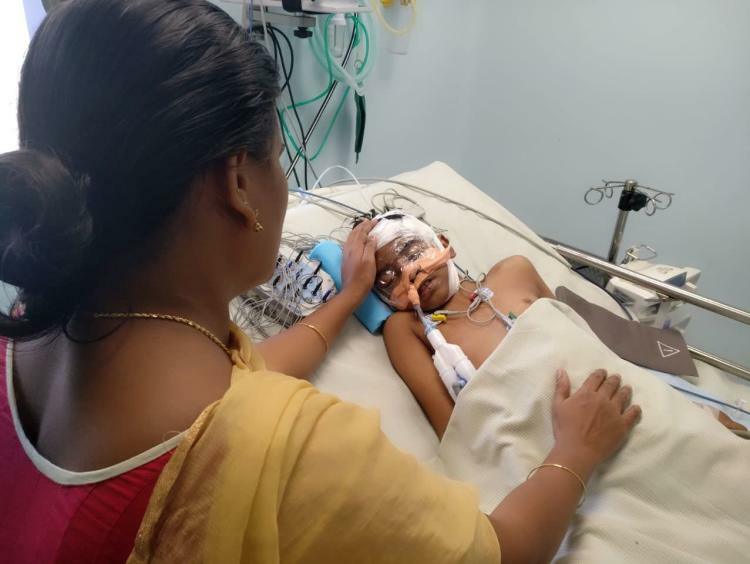 Since Nihit has been hospitalized, his friends keep asking Dikshit about him and he, in turn, keeps asking Maheswara about what happened to his little brother. Since they don’t want him to worry, they tell him that Nihit has high fever and needs to stay at the hospital. Maheswara and his wife Revathi are handling this crisis on their own. All they want is for Nihit to get better and discharged from the hospital, so they can all go back to their normal lives, leaving this bitter episode behind. But financial constraints are making it very hard for Maheswara to handle the situation. 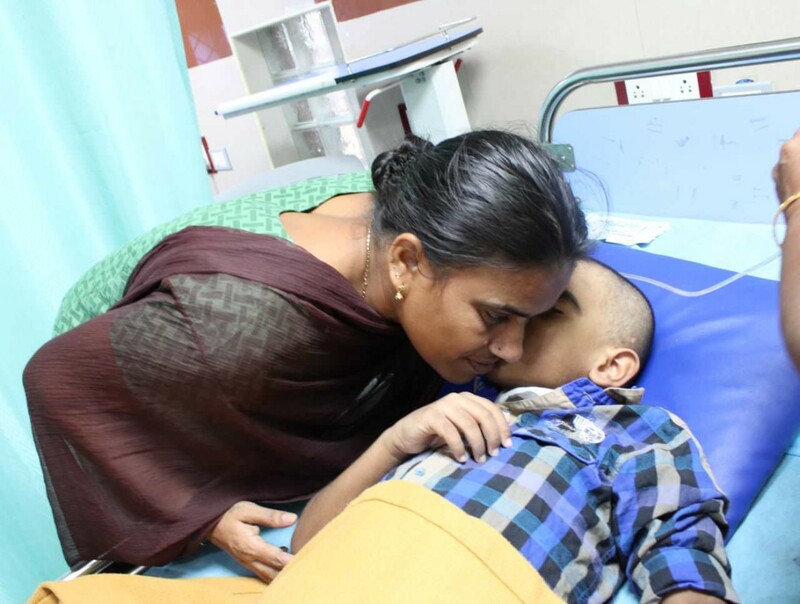 Nihit’s treatment at the hospital costs around Rs 30,000 a day. That amount is getting very hard for Maheswara to arrange. He works a teacher in a local private school and earns a meagre income. So far, for the treatment, they have spent over Rs 7 lakhs, which has exhausted them of their savings and made them borrow money from everyone they knew. 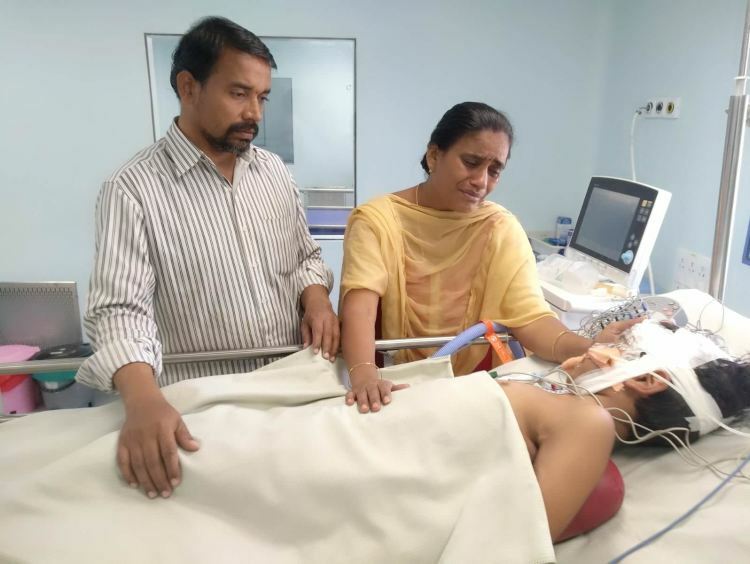 In order to save Nihit, Maheswara and Revathi need your help. 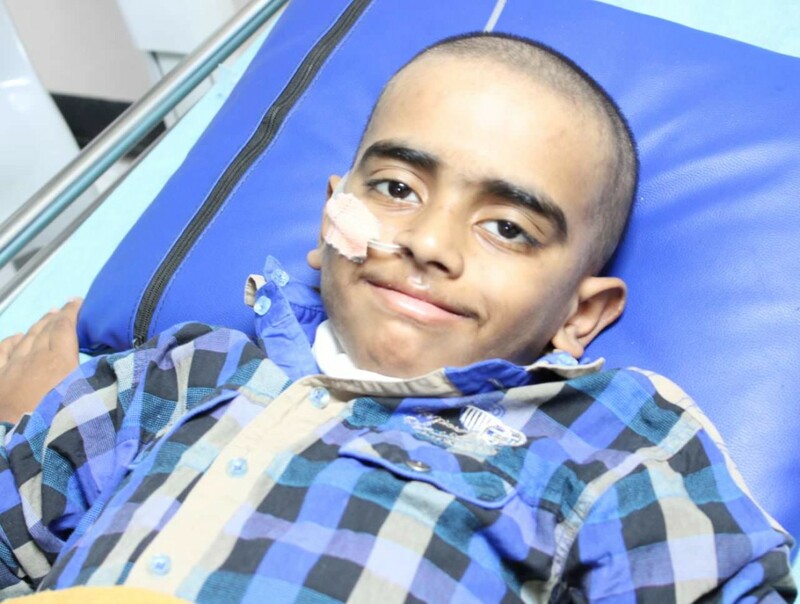 Only your contribution can save their little boy and bring back joy into their lives. Please help Maheswara save Nihit. Thank you so much for the support so far. Currently Nihit is improving well and his oral intake is also good and he is able to speak properly as well. He is currently on continuous follow up with the Doctors. We will keep you posted on his progress. 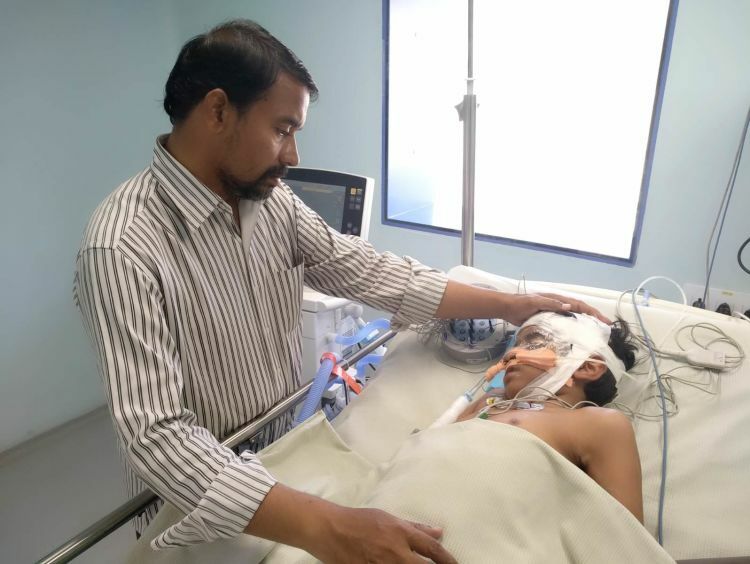 Nihit is recovering well and is now in the ICU for observation. The doctors are observing him closely for a couple of days. If he shows improvement in his health, then the doctors will discharge him soon. Fortunately, he is able to recognize the family. We are all hoping and praying for his well being. We shall keep you posted. Nihit is currently in the hospital and he will be in the hospital for a month more. He's on antibiotics and he has developed urinary tract infection, which has also given him a fever. Because of the fever, he's been experiencing seizures again. He's unable to recognize the parents and is still unconscious. The doctors are controlling the infection and treating him via medication. He's responding to the treatment well. We are all hopeful about his health and his recovery. Please keep praying for him so we are able to help this family in living a happy life ahead. Thank you all once again.